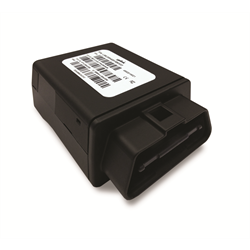 Uplink’s GPSOBDCN is a plug-in GPS which allows owners to track their vehicle’s location from a smartphone. Monitor travel time, when the vehicle is on site, start and end times, ignition events and more. In the event of speeding, theft, unauthorized use or vehicle alert zone violation an email notification will be sent to your phone. NOTE: Uplink account and subscription is required.